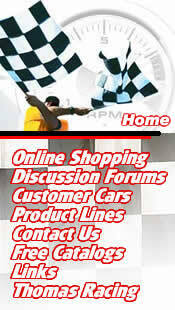 street machines, 4x4 trucks, drag race cars, off-road vehicles & more. If it's high performance, we can likely get it for you, promptly. Or are you looking for something not in this list? Please Contact us today! Link Racing Fasteners, Stud Kits, Rod Bolts, Etc. Link Aluminum Rads for Race cars, Hot Rods, Etc. LinkV8 Conversion manuals & Parts for Chevy S10, Astrovan, Datsun Jaguar, & Volvo. Also TBI & TPI Swap Manual. Link Fibreglass Hoods, Ram Air, Twin Scoop, "Good-Hood"
Link Racing Radio Systems for Oval Track, Road Course, Drag Racing Etc. SCP - Stock Car Products Inc.
SSBC - Stainless Steel Brake Corp.